To make sense of my affinity for Packages Mall, it’s necessary to roll it all the way back to 1999. One of my earliest childhood memories is of watching my mother get ready for work. Every morning, my mother would tame her hair into the perfect Brazilian blowout, don a bright pink lipstick and top it off with (her signature) winged liner. Sometimes she’d catch me awake and ask me to pick out accessories. This fascination carried over when I entered professional life, and I found myself mirroring several of my mother’s idiosyncrasies. Most notably: dress up and show up. And I’ll be damned if I arrive at the office without the right pair of earrings. Small effort, big payoff. I don’t know about you, but the minute I get my paycheck, I head straight to Packages Mall for some good ol’ fashioned retail therapy. I’m no expert insta-famous influencer, but what I do have is a distinct sense of style. Remember my mom from four paragraphs ago? 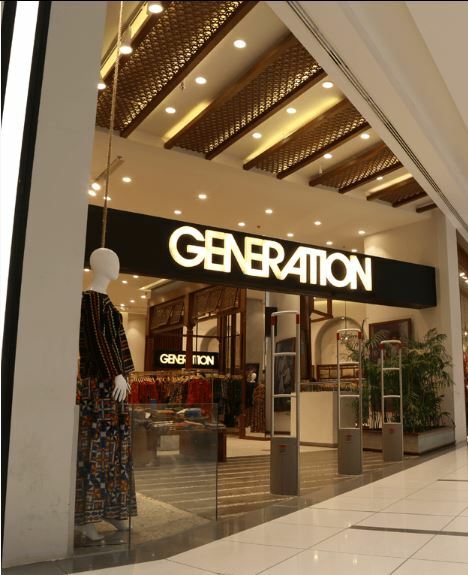 Generation has been her boutique of choice since the early 90s. They never hopped on the frill/lace/sequins bandwagon, every article of clothing is a piece of art. They’ve recently introduced a line of ready-to-wear handloom sarees, and your girl has bought one in every print. The secret to my mothers incredibly toned arms is a decade of dragging me out of Generation’s store. Whenever I’m at Packages Mall, which is far too often, I make a beeline for Mango. Before my Mom can catch up to me, I’m already in the changing room with an armful of clothes. Mango is where I bought my first pair of perfect cropped pants (I’m 5’8 so this was a rare find) and I’ve been a loyal customer ever since. Whether you’re looking for something casual, quirky, or maybe athleisure is more up your alley. Mango has something for every one. 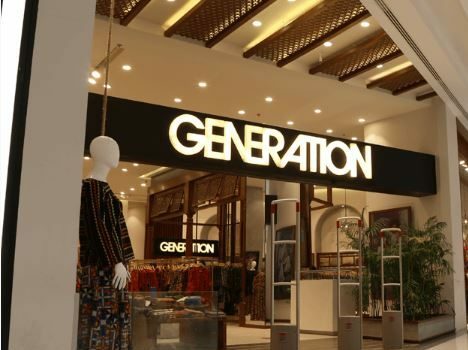 I’m willing to bet that you’ve often walked past this store, when you’ve visited Packages Mall, without so much as a cursory glance. Guess what my friend, you’re sleeping on some grade-A merchandise. At Hence you’ll find a wide variety of well-tailored formal blouses in the most universally flattering shades. Want to look professional and super fly simultaneously? Check them out! When you enter the BTW Packages Mall outlet you’ll feel overwhelmed by the rows and rows of net kurtas. But if you look past the bows, sparkly buttons, frills, and excessive embroidery- BTW stocks a decent range of formal blouses. By now you’ve probably realized that I have a thing for blouses, mostly because they’re perfect for us workin’ gals. Get with the program. 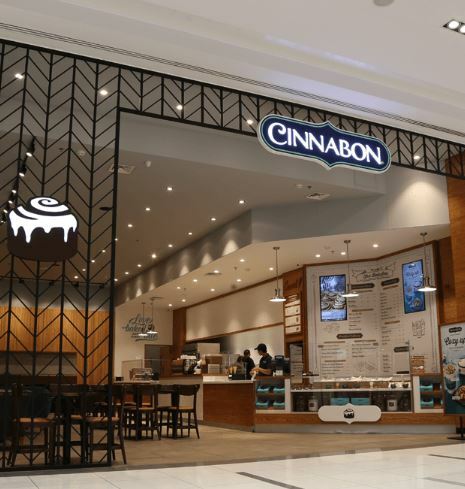 EVERY TIME I’M AT PACKAGES MALL, I WALK PAST CINNABON AND PRACTICE MY PRANAYAMA. ON MOST DAYS I CAN’T BRING MYSELF TO JUSTIFY CONSUMING SUCH UNGODLY AMOUNTS OF STARCH AND SUGAR, BUT AFTER TRAVERSING THE MALL I THINK IT’S TOTALLY ACCEPTABLE. 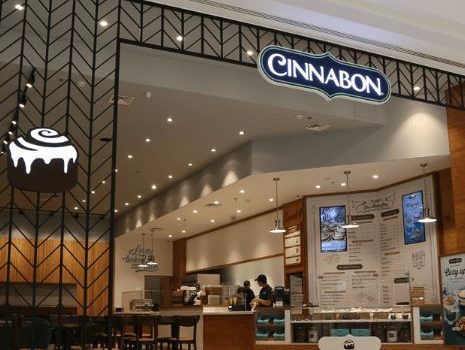 SO PUT DOWN YOUR SHOPPING BAGS AND SIT DOWN FOR A QUICK BITE. IF YOU WANNA PLAY IT SAFE GO FOR THE CARAMEL PECANBON, BUT IF YOU’VE DECIDED TO GO COMPLETELY BALLS TO THE WALLS, THE CHOCOBON IS WHERE IT’S AT. NOW THAT YOU’VE BEEN SUFFICIENTLY SATIATED, BACK TO SHOPPING. I believe in comfort above all else, that’s my excuse for pairing every kameez I own with tights. Ladies you know how hard it is to find a pair of tights that last more than two seasons. Not when they’re Khaadi tights. These bad boys will last years: no tears, no fading. 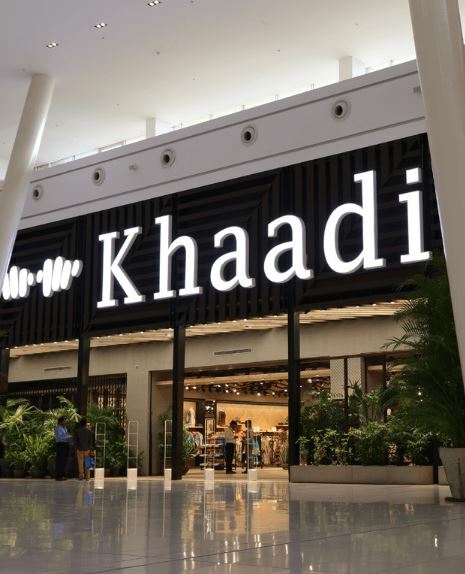 Other than their (godsend) tights, Khaadi stocks beautiful kurtas and they’ve got a range of semi-formal outfits. Gotta hit it up next time you visit Packages Mall. Listen, I’m as invested in self-preservation as the next person. That being said, I have risked bodily harm and navigated through the mobs of bargain-hunting Aunties which Sapphire is famous for. If you’re looking for a minimalist three-piece suit, which can easily transition from day-to-night, Sapphire is the place to be. If you were a teenage girl back in 2010, there will always be a soft spot in your heart for Next. 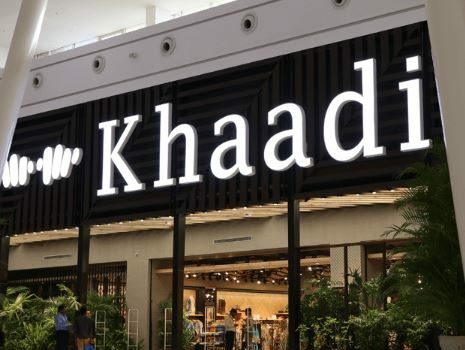 I remember back when they opened their first outlet in Mall of Lahore, my friends and I would shop there in preparation for every birthday/concert/party/bonfire/you-name-it. Whenever I visit Packages Mall, I inadvertently end up here. 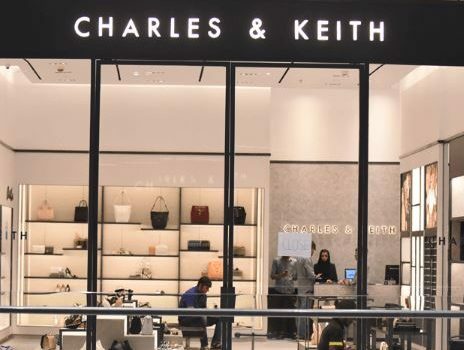 If you’re looking for everyday-chic outfits, Next has got you covered. I KNOW I SAID I’D NARROWED DOWN MY TOP 7 PICKS, BUT THE NEXT THREE DON’T COUNT, TECHNICALLY. HEAR ME OUT. IMAGINE A YACHT WITHOUT AN ANCHOR, USELESS RIGHT? SAME LOGIC WHEN IT COMES TO BUILDING THE PERFECT OUTFIT, IT CAN’T BE DONE WITHOUT A FEW (ESSENTIAL) ADD-ONS. I know the name sounds like an off-brand version of Victoria’s Secret, but give them a chance. If you’ve already found that flattering, sheer lace bralette of your dreams, consider yourself lucky. But remember, splurging on these basics is always worth it. I could be wearing a ratty old grey V-neck, so long as I’m wearing a thin gold pendant and the right earrings, I’ll still feel like a million bucks. I make a monthly run to Accessorize. It’s a disease because I’m slowly running out of storage space (and money), but you’ll have to pry my Accessorize loyalty card out of my cold (iced-out) dead hands. 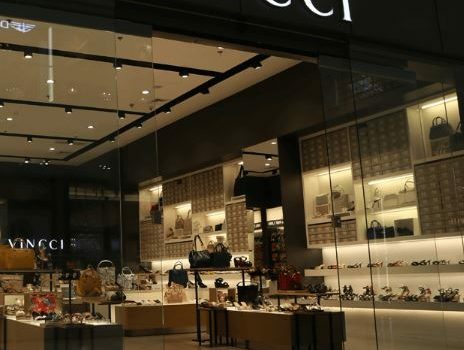 Packages Mall has the largest outlet of this Malaysian brand, within Pakistan. Every once in a while, there comes a time when I have to wear adult shoes. 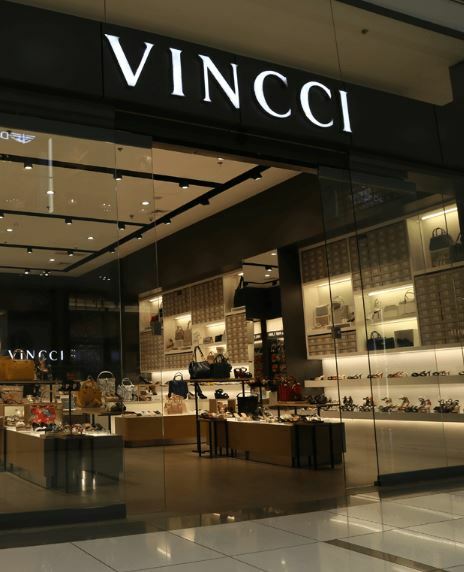 That’s where Vincci steps in, with their wide variety of fine leather shoes; flats, heels, loafers, slip-ons and boots. 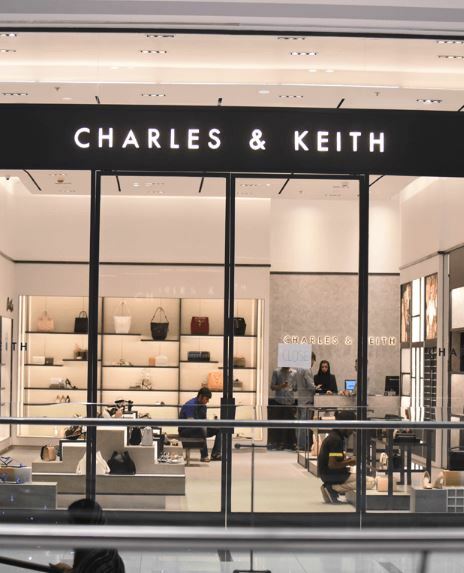 You’re missing out if you’re not checking them out on your next visit to Packages Mall. By this point, if you’ve been heeding my advice, you’ll have blown throw most of your paycheck. Been there, done that. It’s time to tie it all together with a pretty bow. Pretty bow: good food. 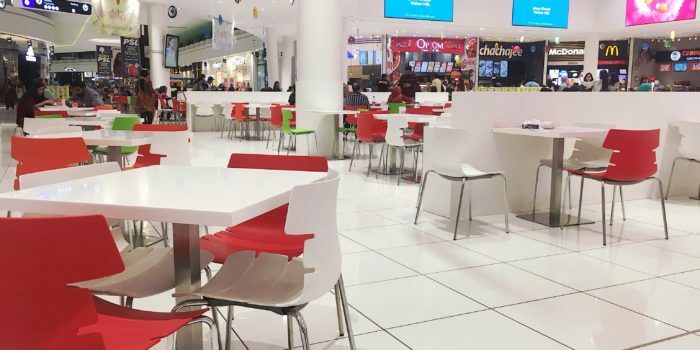 A food court run is in order. Sometimes when I’m feeling patient I head on over to Pantry or Mocca, so that I can archive my experience on Snapchat in killer lighting. On most days, I’m not patient. 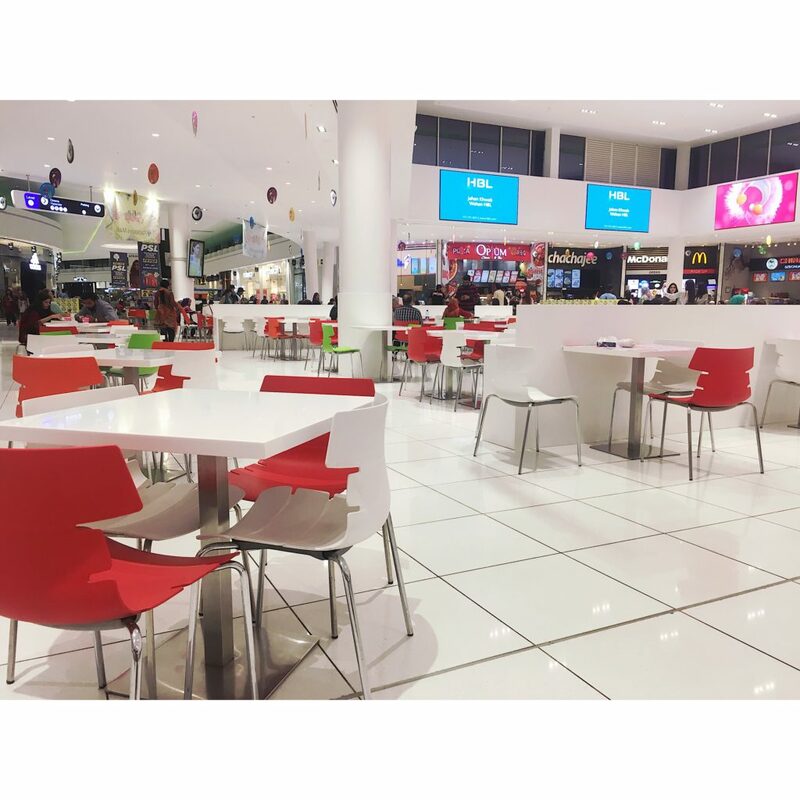 Luckily, the food court is chock full of eateries, whether you’re in the mood for desi, chinese, quick snacks or fast food. I’m never going to say no to a Double-Quarter Pounder. Top it off with kiosk fresh ice cream and I’m golden. For anyone in the throes of sudden-adulthood induced impostor syndrome, I think my list will definitely help you dress the part. 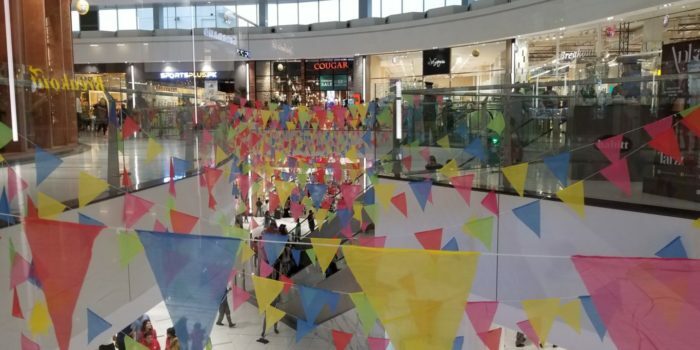 So go ahead and bookmark this article for the next time you’re at Packages Mall, which should be all the time TBH. Just because you’re on that 9-to-5 grind doesn’t mean you need to sacrifice your sense of style. Let Packages Mall upgrade you!